Glass Artist Loses ‘Every Single Piece’ in Napa Valley wildfire; Our Exclusive Artist’s Insurance Policy Pays Off. Napa Valley is typically a peaceful, relaxing place but not for Glass artist Clifford Rainey who lost his home, his studio and most of his work in the Atlas wildfire. The wildfires Fueled by powerful winds have scorched more than 200,000 acres including the beautiful homes of artists and collectors. On Friday morning, Oct. 13, as Rainey surveyed the damage for the first time after his Mount George home and studio burned, said “Every single piece of artwork I own I’ve had since college was lost”. Rainey’s life’s work is far from all lost. His work has exhibited extensively, featured in numerous public collections, including the Victoria and Albert Museum in London, the Corning Museum of Glass in Corning, New York, the M. H. de Young Memorial Museum in San Francisco, and the Los Angeles County Museum of Art, as well as in the permanent collections of the Museum of Arts & Design, New York, Museum of Fine Arts, Boston, the Irish Museum of Modern Art, Dublin, and the Montreal Museum of Fine Arts. The emotional value cannot be replaced but having an artist’s policy to cover financial losses prevents having to start from zero. Our Artist Insurance Policy is designed for the active Artist. Your Art is covered while in the Studio, in Transit, while at Exhibitions and when in storage along with Your Materials, tools and reference library. No more worrying about, Theft, Fire, Water Damage or Vandalism. These coverages and more are covered in our Artist Insurance Policies. For more information or to discuss your particular situation contact me, William G. Fleischer CIC | Principal. T: 212 566-1881 ext.111 or visit us at www.artinsurancenow.com to fill out a quick EZ application for a fast, free quote. Iconic Muhammad Ali print stolen from museum. The Print, which was stolen while the museum was open to the public depicted Ali in a classic boxing pose painted in the brilliantly colored, expressionist style that LeRoy Neiman was known for. Brazen thieves ripped the print from the wall even with security cameras watching, It’s important to understand the value of art insurance and protect yourself by covering your valuable collection. Although risk extends beyond theft (47 percent of art loss is attributed to damage during transit according to The New York Times) art trafficking is a very real thing and according to statistics ranks third behind drugs and arms. In a case of theft, the loss is irreversible. Not only the artwork is irreplaceable itself but also even the reputation of the organization suffers from a mere fact that such situation has occurred. Without having a comprehensive fine art collectors insurance from a trustworthy art insurance broker, the masterpieces are subjected to risk. Apply for coverage here or call me if you have any questions or to discuss your options. David Bowie’s Art Collection to be auctioned, how would a collectors policy respond? Not just David Bowie’s Estate sends work to the art auctions but individual collectors do also. The most popular conversations I have are collectors looking to insure their work while in transit to an auction house like Christie’s, Sotheby’s, de Pury, and Phillips house. Many times the auction house will either visit the collection or ask the collector to send the item to be auctioned directly to the house, either to be further evaluated or to be inserted into the auction rotation. The preferred Collector’s insurance policy I like to sell, include and is not limited to coverage in transit and away from premises, in exhibitions and in storage and does not exclude auction houses. The evaluation of the Art is based on two different models. 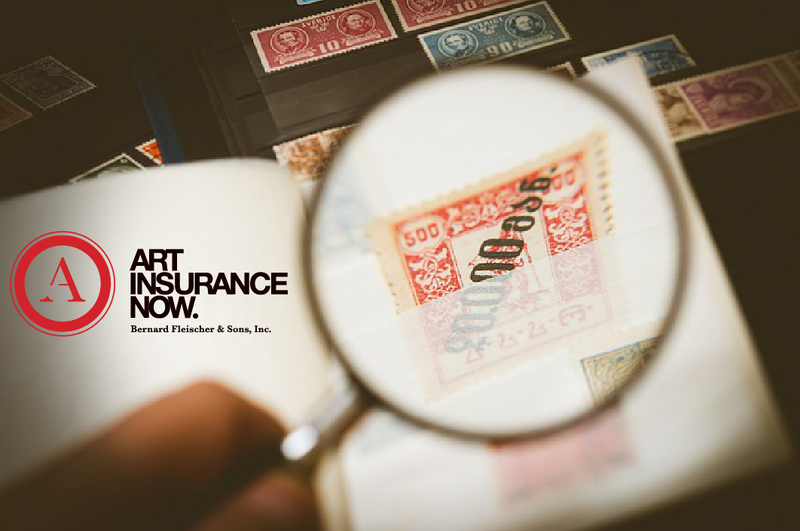 Depending on the Art Insurance Company policy wording, One base is on the schedule amounts of the item on file (either with the Insurance company or the Collector) and the other is based on the current market value (onus of proof is on the collector). In the case of David Bowie, Jim Hendrix or even Robin Williams, the auction house receives these items on consignment and will charge a hefty fee to insure them while on the premises. I advise my clients to not use auction house insurance because most of the policies I sell have coverage for unnamed locations or broad enough to cover the works given for sale on a stated amount. This may be lower than your schedule or market value to entice attention for a bidding war. When in doubt, call me to discuss your unique situation. Good News! After 29 years in the Insurance Business, I have partnered up with AXA and Travelers Insurance Company. We can now negotiate favorable terms and conditions with very competitive pricing. I now have the facility to insure all types and size collections, Dealers, Museums and Non-profit galleries. If you are involved in the art world, I can insure your exposures. There are special policies so broad that besides the standard theft or breakage coverage’s it actually includes mold and devaluation of the art pieces due to a loss. The premiums begin around $2,500 for about $250,000 worth of protection. $300,000 premises limit $300,000 unnamed location $300,000 while in transit We set the unnamed location limit and transit limit as matching limits to avoid any gaps in coverage. Premium is $3100 with $1,000 deductible. Call me with your questions. William G. Fleischer, CIC 212 566-1881 ext 111 wfleischer@bfbond.com Dealer Insurance, Museum Insurance, Corporate/Private Fine Art, and Collectibles Insurance. Because I am always receiving all sorts of art related information I have decided to share some excerpts. Understand how to Assess the risk, climate control for fine arts and Antiques, placement of rugs and carpets away from fireplaces. The flyer gets into special care for paintings, moving art, security advice and professional valuations and photographs. it’s worth a quick read. Click here for an application to insure your Art and antiques. Yes, items can be checked into luggage and still be covered, but this is not the best way to ensure coverage under this policy because you will be violating the packing warranty. What does this mean? It means you can pack a wood carved 12” dish into your luggage, but you cannot insure a Tiffany lamp wrapped in a sweatshirt. If the item is of art or cultural importance, the country of origin may seize the property. This policy does not cover any Governmental Action. Fill out a collectors application for a quote today. 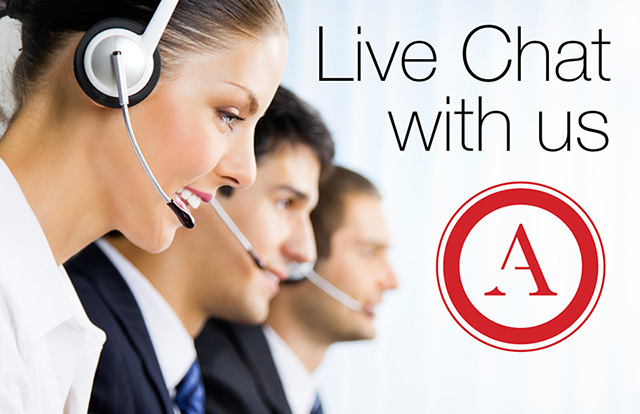 American Collectors Insurance is the nation’s leading provider of specialty insurance for collectors. We offer affordable, agreed value coverage for all years, makes, and models of collector vehicles as well as a variety of valued collectibles. A wide range of collector vehicles qualify for American Collectors’ program, from “brass and wood” antiques to street rods, exotics, modern classics and more. American Collectors also offers all-risk coverage for a wide range of collections from stamps, coins and comic books to vintage wine, sports memorabilia and beyond. Since our inception in 1976, we have catered to what is most important to our collecting clients – superior service and broad, flexible coverage. As time has passed we have continued to evolve our programs to match the unique needs of enthusiasts. American Collectors is as passionate about insurance as our clients are about their collections. Between our quick and pain-free quoting and application process to our “Real Person” Guarantee every time you call, we make it easy to obtain collector coverage. Let our reputation speak for itself: last year, 99% of our customer feedback rated our claims process from very good to excellent. Thank you for making American Collectors your go-to provider for all of your collector insurance needs. How to Insure Prehistoric Art properly. Prehistoric Art is Art from Ancient Near East, Ancient Egyptian, Greek, Roman, Islamic Art, etc was created on many different types of Median, Ceramic, Gold, Silver, Tapestry, Bronze, wood, stone. etc. over the years these work of art have become scarce, fragile and valuable. I am insuring a dealer in Indian Art who specializes in Prehistoric Art. He reminded me that Long Island in NY had one of the largest concentrations of Arrowheads. Addressing the Insurance coverage for those Art items which you care for, I have a very special understanding of the risk of damage, theft while in the home or in a Exhibitions. Art Insurance policies are not all the same. Some are written through LLOYD S of London, AXA Art, Travelers Insurance Company to name a few players. The Art Insurance company will include Transit by Sea, Air & Land. Coverage is usually extended to a Storage facility or the final destination. To have these items insured, the underwriters in most cases will require a condition report if in long-term storage or if newly purchased, a bill of sale or appraisal. Visit ArtinsuranceNow.com to complete the Collectors application to cover your prehistoric, Modern and contemporary art. A collector or Museum consigns a work to a dealer to sell. The dealer does his job and sells the work, but does not pay the Collector or Museum. This is now considered a loss of property and if your current policy does not address this type of loss you may not have coverage. Now if the consignment date has expired and the dealer is not willing to return the work, in many incidences this would be classified as theft and be covered by your fine arts policy. For more information on Conversion Exclusion call us at 1.800.921.1008, visit our website at www.ArtInsuranceNow.com or fill out one of the applications below for a fast and easy quote. We represent Insurance Companies to make it easy for you to protect the things you collect. Homeowners insurance alone does not provide enough coverage for your clients’ treasured items. That’s why our collectibles program is the perfect complement to your standard personal lines products. It enables you to protect the full collector value of your collections in the event of a total loss. Designed specifically for collectors, our all-risk policy not only protects against accidental breakage, hurricane, flood, earthquake, fire, and theft – it also protects the packaging and accessories of collectibles. Plus, our optional Collectors’ Choice coverage provides your clients who are actively growing, displaying, or occasionally using their collection with the added level of protection they need to fully enjoy their hobby. We offer deductible options (including zero deductible), rate options and discounts, and multiple collections in the household can all be covered by the same policy. Appraisals are not required to obtain this valuable, stand-alone coverage. Coins Musical Instruments and much more!